Do you want to learn more about CrossRoads? 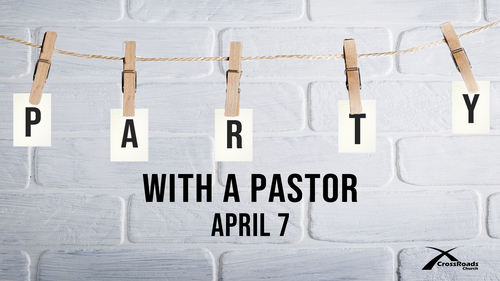 Party with a Pastor is the event for you! After church, get the chance to meet some of the staff at CrossRoads, hear our history, and ask questions over coffee and snacks. Can't make it this time? Don't worry, we repeat this event on the first Sunday of every month!